R Madhavan was among the selected Indian actors who were invited to meet Canadian Prime Minister Justin Trudeau during his visit to Mumbai. 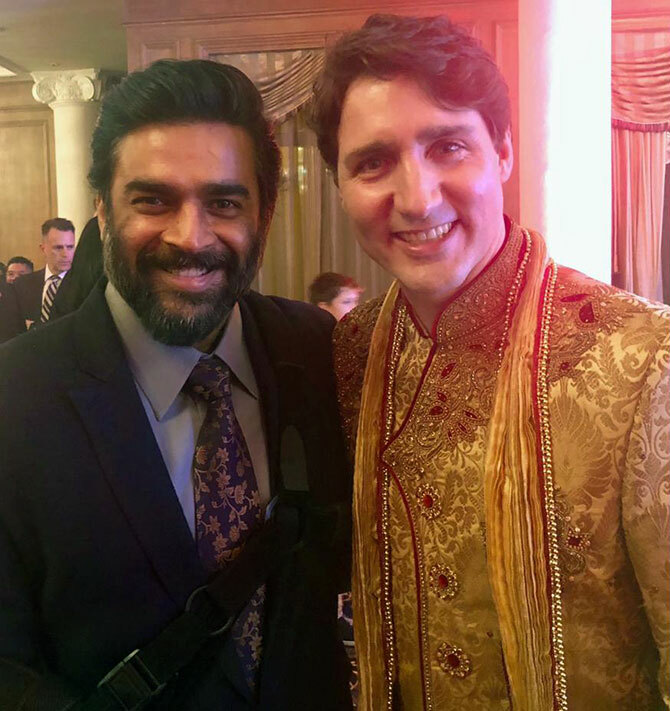 Madhavan was as charmed by Trudeau as Trudeau was by the actor. "Or so I'd like to believe!" laughs Maddy. "Before inviting me to meet him, they had done their homework. They knew I had strong ties with Canada. I keep going to the country. This has been going on since my student days. As a student, I went to a place called Stettler, Alberta, as part of a cultural exchange programme. I spent a year there and lived the life of a cowboy -- in hats, boots and on a horse. Since then, I have been visiting Canada regularly. "He's so young for a prime minister and so eager to know more about India and Indian cinema. And he does the most awesome bhangra!" Apparently, a lot of subsidies are being offered to Indian filmmakers to shoot in Canada and the actor intends to use the opportunity to shoot extensively in the country. "In India, we are watching and making successes out of Hollywood films in Hindi, Tamil and Telugu. It's time for us to go global and return the favour."